Big Springs Creek is fast flowing and misty, hidden within the dense forest are three 10 ft tiers of falls with a combined height of 49 feet. This tributary eventually joins the mighty Lewis River in Southwest, Washington. 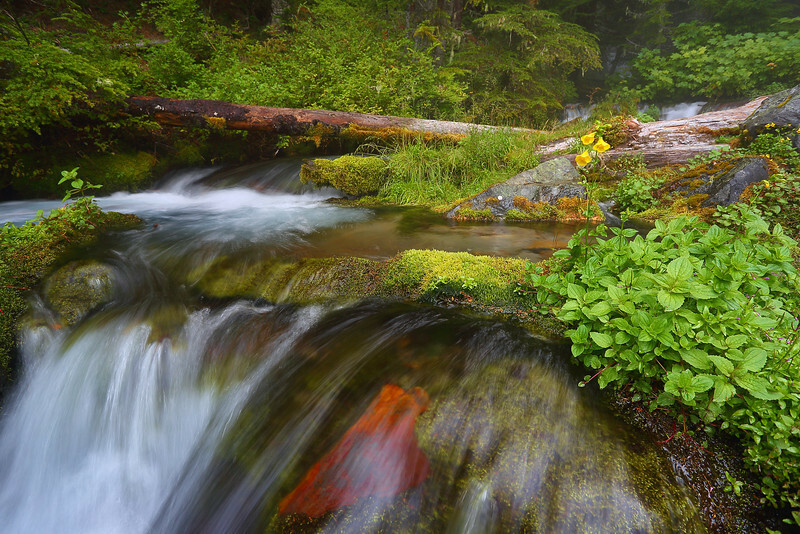 The image was taken downstream amidst the green foliage and mosses that thrive along its banks. Superb shot! I love the water and colors! Lovely splashes of colours, especially like the red (leaf?) under the water.